Find your inner child. 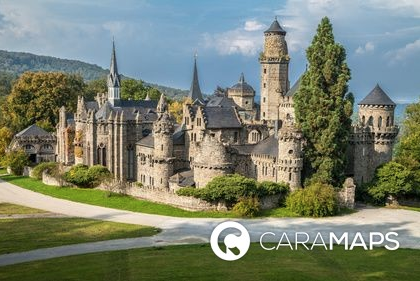 Discover the fairytale road with CaraMaps. Bremen: Musicians tell their story every Sunday in Bremen. You can park your motorhome here (shady place under trees). Trendelburg: Discover the Cinderella’s rooms in Trendelburg. This will remind you of the stories your grandmother told you when you were just a little child. It is a beautiful and magical place. You can stop your vehicle here. Bodenwerder: In this town, a museum is dedicated to Baron Münchhausen and Polle, you can visit the museum as well as the beautiful city with its hidden treasures. You can stop here. Hofgeismar: Rapunzel left her long hair from the tower of her feudal castle, not far from here. You can also visit the Sleeping Beauty Castle. A beautiful site to discover. Hamelin: Discover the town of the Rat charmers with its many museums. In this medieval old town, “The flute player” is played outdoors every Sunday. Hanau: In this town you will find the national memorial of the Brothers Grimm and the castle of Philippsru, which you can visit. Kassel: Finally, Kassel, capital of the German Route of the Tales, you will enjoy the Museum of the Brothers Grimm, as well as their houses because they lived there for 30 years. (Kassel is a UNESCO World Heritage City).